The domestication of wild rock pigeons seems to have happened between 5,000 and 10,000 years ago in the eastern Mediterranean region. The key was finding a way to keep the birds captive until they matured and were able to reproduce. It’s possible the Egyptians were the first to domesticate the rock pigeon, and we do first learn from them how to keep and rear pigeons for profit. They bred pigeons for their eggs, droppings and for food. The droppings were prized by farmers for fertilising their fields. The Romans reared pigeons from an early date, and France particularly has a long history of keeping pigeons in dovecotes, possibly arising from its occupation by the Romans. Although pigeon holes have been found in Roman ruins in the United Kingdom, the traditional view is that dovecotes and the art of pigeon keeping were introduced into England by the Normans. The earliest known examples of dovekeeping are in the form of nest holes in their castle walls. 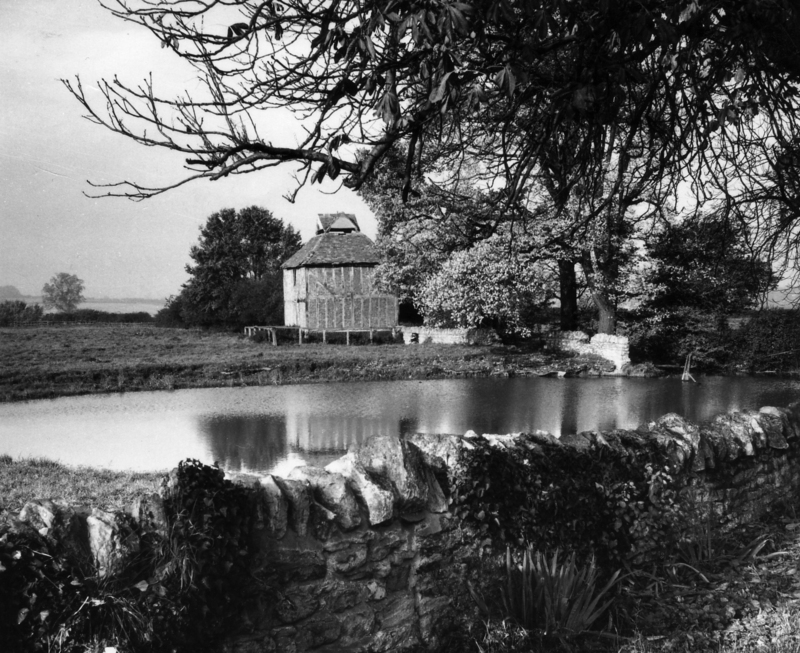 The earliest surviving definitely-dated free-standing dovecote in England was built in 1326 in Herefordshire, and dovecotes were very popular in England from the 17th to the 19th century. In the Middle Ages, only manorial lords could keep these birds so the few remaining medieval dovecotes are connected with manor houses, castles, parsonages or former monastic sites. When the laws were later relaxed others also built dovecotes, until their use declined with changes in farming practices, the pigeons’ voracious appetite causing substantial damage to farmers’ crops of grain. It had long been held that dovecotes were uneconomic from a national standpoint, producing a luxury for the few but holding back more efficient farming by the many. 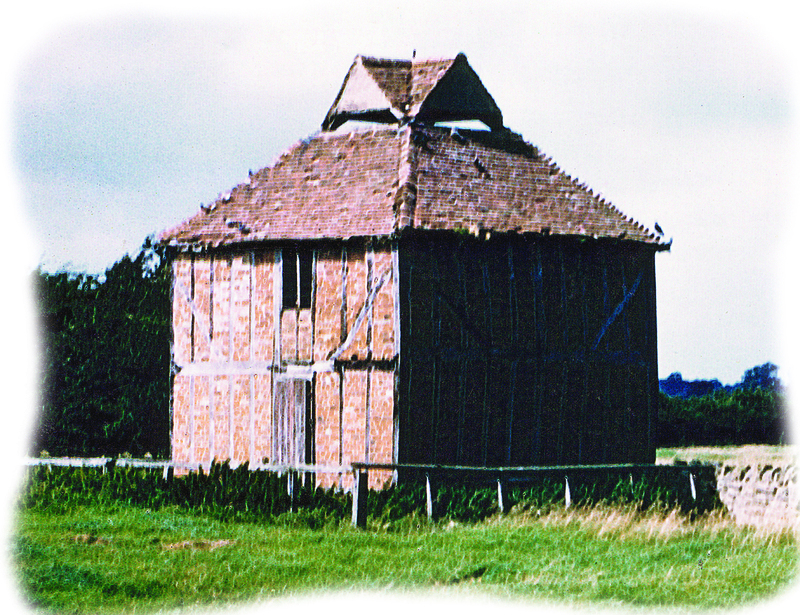 Many dovecotes were demolished and others became derelict. We don’t know when the dovecote ceased to be used for its original purpose of supplying meat and eggs for the Manor table. After falling into disrepair, it was restored in 1932 with advice from Professor (later Sir) Albert Richardson and restocked with four pairs of pigeons. Sir Albert was a leading English architect, and teacher and writer about architecture during the first half of the 20th century, who lived in Ampthill in Bedfordshire.